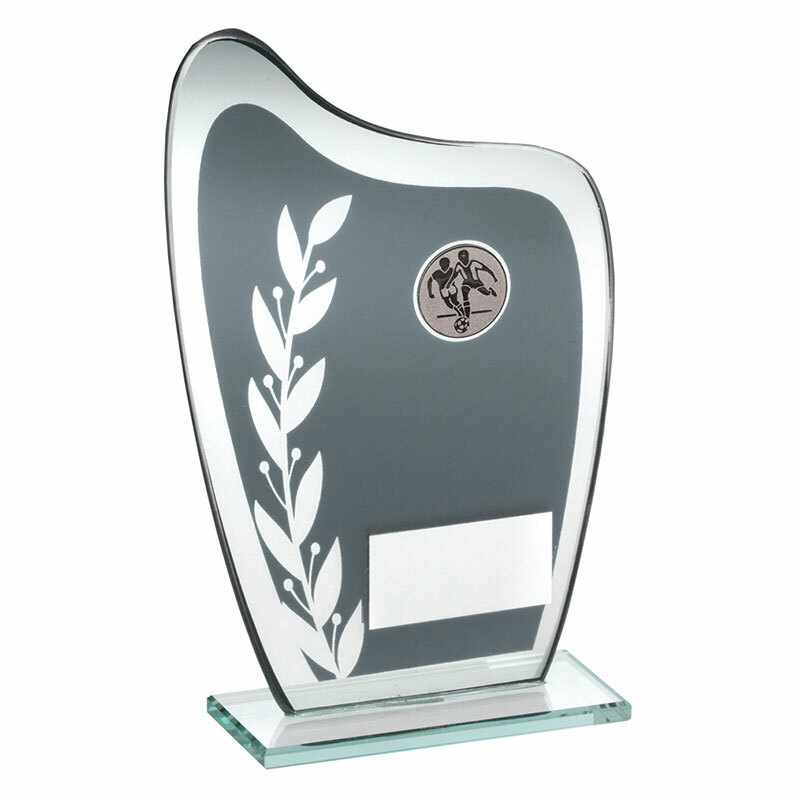 Stylish yet affordable football glass plaque shield awards, crafted in distinctive grey and silver glass with clear glass base. The front of the plaque shield has a soccer motif along with a metal engraving plate at the foot. Available in three sizes, offered with text and logo engraving options.